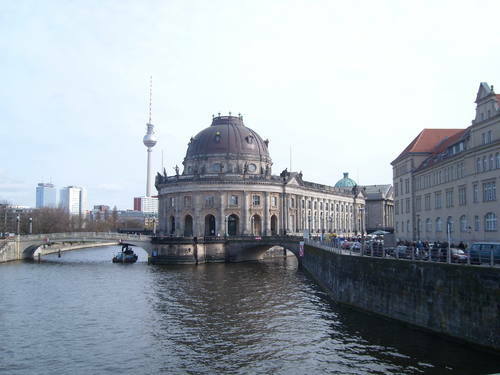 The Museum Island in Berlin, Germany is placed on the northern half of an island in the Spree River in central Berlin and a main tourist attraction of the city (Stiftung Preußischer Kulturbesitz, 2014a). Due to its age, preservation and conservation are the main managerial challenges of the Museum Island. During the Second World War, some of the buildings have been damaged, followed by a time that lacked maintaining the buildings during the DDR (Jaeger, 2010). However, the Stiftung Preußischer Kulturbesitz has achieved to develop a “Masterplan” for future conservation and renovation (Stiftung Preußischer Kulturbesitz, 2014a). According to the WHC (2014b) and to Jaeger (2010), this makes the Museum Island a good example of how heritage sites can deal with managerial issues. The plan includes an emphasis on retaining authenticity and aims to ensure the maintenance of the high quality of the buildings, as well as inhabited collections (WHC, 2014b). However, conservation and renovation involve great amounts of money as well as cooperation between different levels of stakeholders (Aas, Ladkin & Fletcher, 2005). The WHC (2014a) states that “[The] Management of the Museumsinsel- its buildings and its collections - is carried out jointly by the Prussian Cultural Heritage Foundation and the State Museums of Berlin (Stiftung Preußischer Kulturbesitz – SPK/Staatliche Museen zu Berlin – SMB), which ensure that the property’s qualities are maintained. They cooperate with other partners to whom they delegate specialised preservation activities. “ Nevertheless, this also provides a risk, as the more stakeholder involved, the greater the managerial challenges to incorporate everyone´s needs and wishes (Heldt Cassel & Pashkevich, 2011). Moreover, the issue of power relations evolves, when stakeholder from different public and private levels cooperate (Heldt Cassel & Pashkevich, 2011). Besides this, no central challenges are face currently by the Museum Island (WHC, 2014b). The site managers developed a well-functioning evaluation and monitoring system, implemented a buffer zone around the site and there is currently no risk of exceeding the carrying capacity (WHC, 2014b). Just like other heritage sites (Aas, Ladkin & Fletcher, 2005), the communication with the tourism industry can still be improved at the Museum Island in Berlin. Aas, C., Ladkin, A. & Fletcher, J. (2005) Stakeholder Collaboration and Heritage Management. Annals of Tourism Research, 32 (1), pp. 28-48. Heldt Cassel S. & Pashkevich A. (2011) Heritage Tourism and Inherited Institutional Structures: The Case of Falun Great Copper Mountain. Scandinavian Journal of Hospitality and Tourism, 11 (1), pp. 54-75. Stiftung Preußischer Kulturbesitz (2014a) Masterplan Museumsinsel – Projektion Zukunft. [Online] Available from: http://www.museumsinsel-berlin.de/ma...ktion-zukunft/ [Accessed 14/11/13]. Stiftung Preußischer Kulturbesitz (2014b) Museums and institutions. [Online] Available from: http://www.smb.museum/en/museums-and...titutions.html [Accessed 14/11/13]. World Heritage Convention (2014a) Museumsinsel (Museum Island), Berlin. [Online] Available from: http://whc.unesco.org/en/list/896/ [Accessed 14/11/13]. World Heritage Convention (2014b) Periodic Report - Section II - Museumsinsel (Museum Island), Berlin. [Online] Available from: http://whc.unesco.org/en/list/896/ [Accessed 14/11/13].